The award will be formally presented at the ICMA’s 2017 Awards Ceremony on 1 April, held at the Leipzig Gewandhaus, at which the winning recordings from this year’s 321 nominations will also be announced. The ICMA Special Achievement Award coincides with the occasion of Naxos’ 30th anniversary, and sees both Mr Heymann (who turned 80 in October) and his expanded music conglomerate (now the Naxos Music Group) uniquely bullish in its development plans for the industry. Recent achievements include the forming of a new division for audiovisual classical content, the launch of a streaming service for world music, and a new online resource for musical works. Klaus Heymann’s name is synonymous with making classical music available to a much wider audience than was the case prior to his founding in 1987 of Naxos, the CD label that famously undercut the major labels in terms of price, without compromising on quality. Headquartered in Hong Kong, Naxos now boasts a catalogue of such depth and breadth that it makes it the leading classical label. Over the years, Naxos recordings have received countless commendations, including GRAMMY® awards, Penguin Guide 3-star recommendations, Gramophone Editor’s Choice Awards and many other international honours. 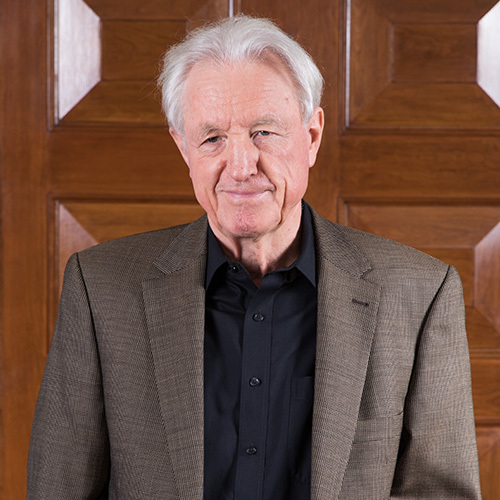 Klaus Heymann led the field in foreseeing the inevitable synthesis of recorded classical music with the internet as its vehicle for distribution. In 1996, he pioneered the concept of making music accessible from the internet, and in 2002 he launched the Naxos Music Library, the industry’s first subscription streaming service, four years before the arrival of Spotify, advocating the benefits of streaming rather than downloads. “Klaus Heymann’s influence on the classical recording business can simply not be overstated. As a leading entrepreneur and musical visionary, Klaus has transformed and reinvented the entire industry. And he has done it his way!